You may not realize it, but it’s likely Frank Gilbreth, Sr. impacted your life. Don’t recognize his name? In the early 1900s, as a bricklayer, Gilbreth developed a more efficient, simple way to lay bricks. 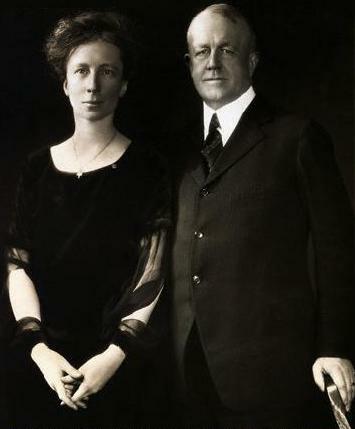 Soon the ambitious, creative Gilbreth and his wife Lillian became famous for pioneering what today is called “the efficiency movement.” Their “time-and-motion” studies standardized work and eventually thousands of businesses—GE and General Motors among them—bought in to their “scientific standardization” methods. The Gilbreths believed there is “one best way” to accomplish any job or task, whether at work, school, or home. The discovery of that “one best way” in any field was the supposed key to success. Ironically at home their research led them to begat twelve children. What do the Gilbreths have to do with numerical blog titles? Just this. The current epidemic of blogs focusing on “five steps, twelve ideas, three keys,” or any number of better-living philosophies featuring numbers in their titles can be traced back, at least in part, to the Gilbreth idea that a better life is born from breaking complex tasks (life) down into small, simple steps. Frank called these “therbligs” (his last name backwards with an s). Nothing in life is that simple. You may be able to delineate “12 Quick Steps to Search Google Like an Expert”, but philosophers, scientists, theologians, artists, and politicians have been searching for the keys to understanding human life for centuries. Psychologists believe it resides in the mind. Theologians argue for the soul. Artists assert that the heart contains what truly makes us human. Modern science proposes it’s the genome. Yet even the variety of answers to the question, points to complexity. By nature life is complex and unique. In his letter to his friends in Ephesus the Apostle Paul calls us God’s workmanship or more literally, poetry. This means we are works of art to be wondered over rather than machines to be tinkered with and perfected through time and motion methods. As helpful as these lists can be, there are not five mechanisms to make your marriage amazing, or 12 tricks to finally get men to like church, or 10 steps to the top of Mount Everest. Breaking life into pieces kills it. The brilliant and inquisitive Leonardo da Vinci dissected live animals to discover how their organs worked. What he also discovered is that unfortunately this killed them. Likewise our modern quest to dissect life into steps reaps the same result. But this death comes in that we no longer see life as whole and mysterious and wonderful, but rather as segmented, disconnected, and, often, meaningless. And an article on Seven Practices to Bring Meaning to Your Life will not resuscitate it. In Subversive Spirituality Eugene H. Peterson argues that, according to poet Czeslaw Milosz, “. . . the minds of Americans have been dangerously diluted by the rationalism of explanation.” In other words, we think there is an easy explanation for everything. This intellectual vivisection leaves dead on the operating table imagination, which is essential to life. Peterson writes, “Imagination is the capacity to make connections between the visible and invisible, between heaven and earth, between present and past, between present and future.” Wonder and imagination, not narrow understanding bring life. These lists do not effect the changes we so desire. These list-blogs may or may not be well written. And they may or may not make sense. Though they may get the most hits. But they do not effect the change we are all looking for. Paul Zak, Ph.D., Director of the Center for Neuroeconomics Studies at Claremont Graduate University, in a several year study, found that stories shape the brain and stimulate active responses to the issue portrayed more than a mere mention of the issue. Imagine Victor Hugo’s masterpiece Les Miserables about justice, the law, and grace written and titled The Three Mistakes Every Human Being Makes or Elie Wiesel’s heartbreaking work, Night, about the holocaust retitled Two Things that Could Have Stopped Hitler and Saved Six Million Lives. In so doing, the world would have missed two beautiful, important, penetrating works of art. Works of art that drove their message far deeper into our hearts and minds than any mere list. These blogs are dumbing us down. This point is a result of the above. The more we read only bullet point pieces on important issues such as marriage, church attendance, and parenting, the less able we may be to read deeper, harder works. Also, simplistic approaches to complex issues gives us false hopes that we can answer all questions and solve all problems easily. This is the same effect 30 minute television sitcoms have had on us. Online news service SocialTimes reported on a study that found social media may have reduced the average attention span from 12 minutes to five. Personally I know the more I am on-line the more I flit from one thing to another, like a butterfly lost in a field of dry weeds. Reading is so much more than gathering information. These numbered outlines are to reading what paint by numbers are to art. When I shut down the Net I dig deep, and can read for hours and am transported and transformed. But many of us are losing the ability to think deeply and struggle over deeper concepts and ideas, especially if there are no easy answers offered. C.S. Lewis gave Mere Christianity as talks on the BBC between 1942 and 1944. He said they were for the common man. Today many people start the book version and quickly give up because they lack the staying power. Lewis has not changed, we have. But I read mainly to be transported and transformed. Information is handy but secondary. I’ve read that prayer several times and it is beginning to sink in. But I may or may not have skimmed a blog titled, The Two Ways Self Blocks Your View of God, but I certainly would not have savored it and been moved by the truth, poetry, and complexity of it. And I would not—probably—have been moved to pray that very prayer for myself. Mid-winter silences, hmm. What a picture that is. Well said, Georgie Ann. We can and should try one or two ways to improve life, but, you are right, life is more than a number. This is one good blog!! I couldn’t agree more, we killed our tv a couple years ago and although I do miss certain mindless aspects of it, reading is so much more….thanks for the read. Thanks, Rob. You are welcome. I too gave up tv for about 8 months (until football season started again) a couple of years ago and really enjoyed it. I may do it again this year.